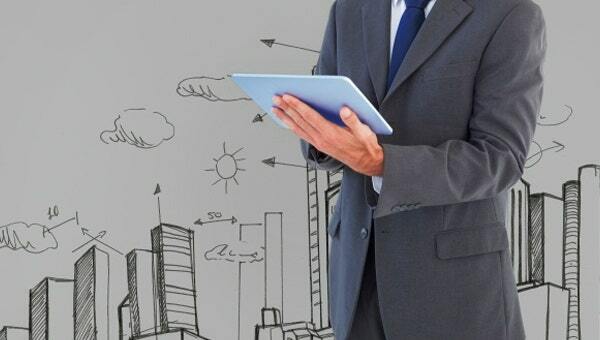 There are different kinds of review agendas which may be used either in business processes, academic undertakings and other procedures where a review is essential to be done. 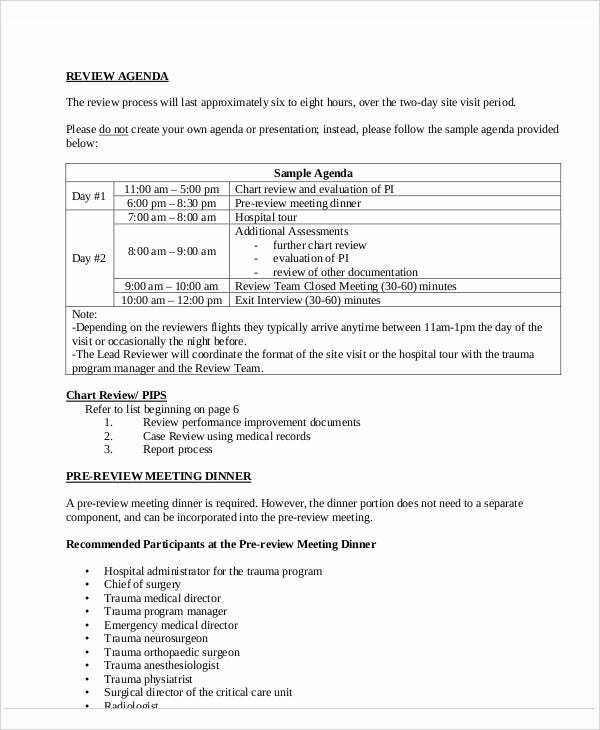 The templates that are used in creating a specific Sample Agenda used for review scheduling and planning purposes vary on the content of the document and the reason why a review agenda shall be made. 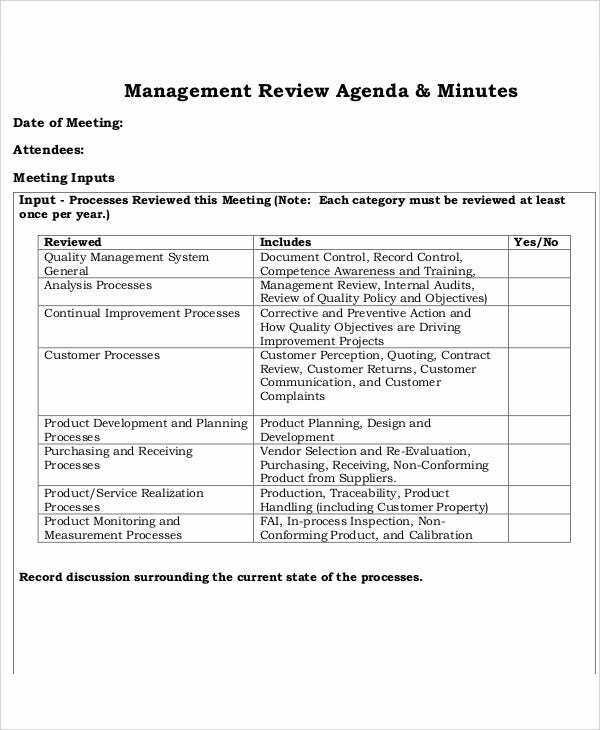 We can provide you with downloadable samples of review agenda templates, which you may use as references in creating the review agenda that you will use in a particular review process or on Effective Meetings where reviewing a particular topic or subject matter will take place. 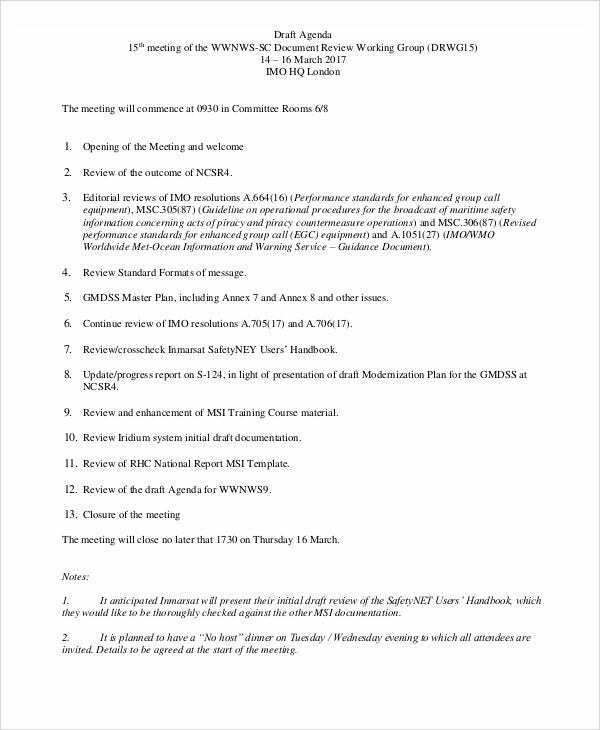 Aside from that, we can also give you samples of Meeting Agenda Templates that you may download in the link provided. 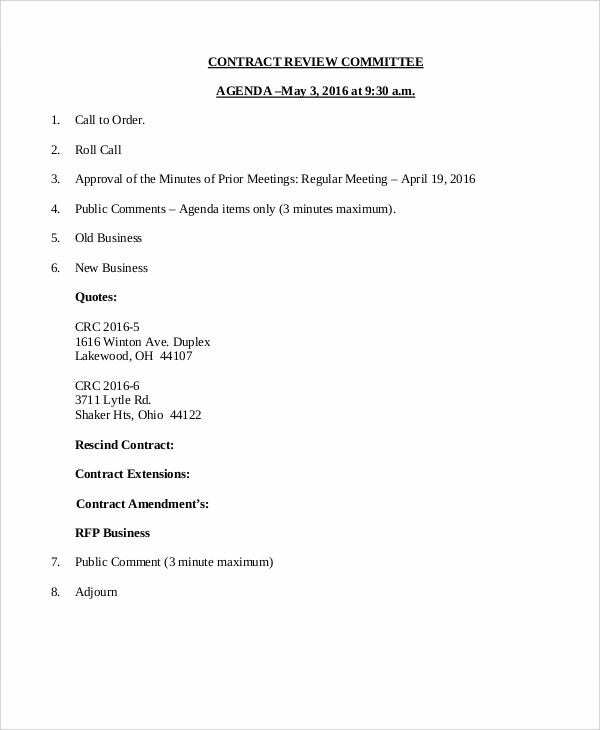 Make sure that the Agenda Templates in Word that you will refer to for this particular purpose contains the items that have been specified in the above discussion. 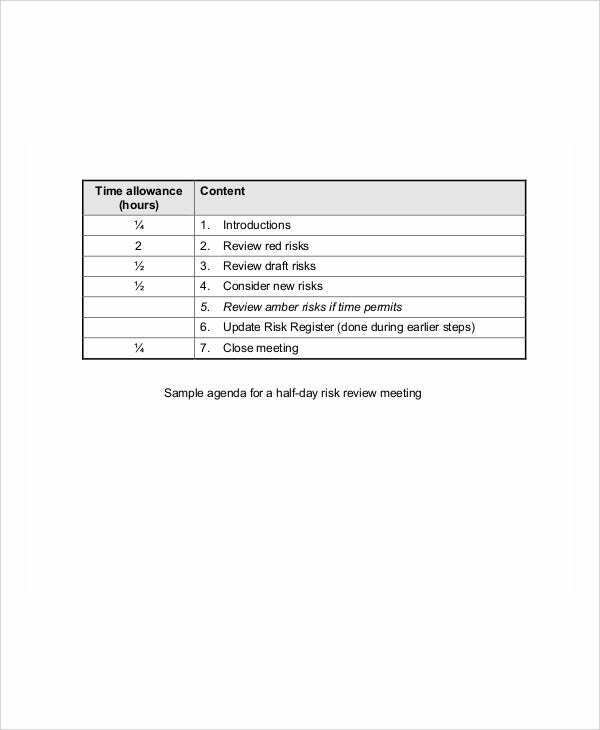 Aside from our samples of different kinds of review agenda templates, you may also want to download our samples of Weekly Agenda Template and Safety Meeting Agenda Templates. 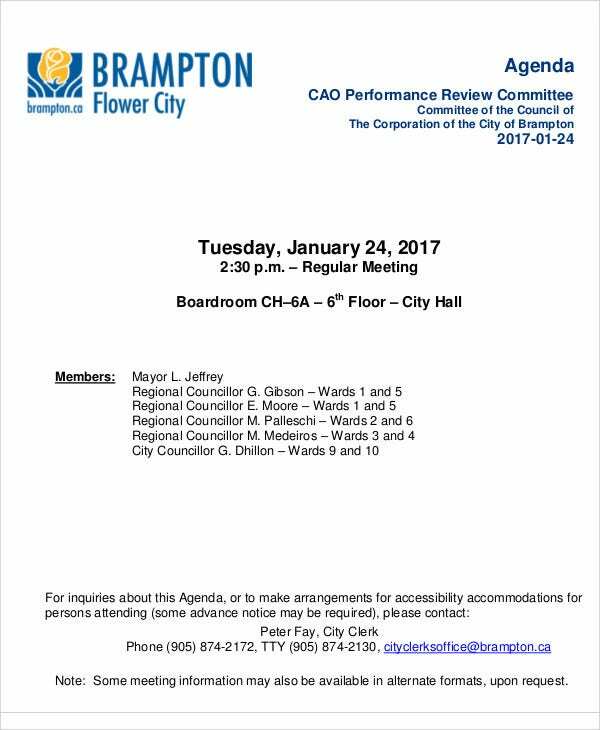 Why Use Our Review Agenda Templates? 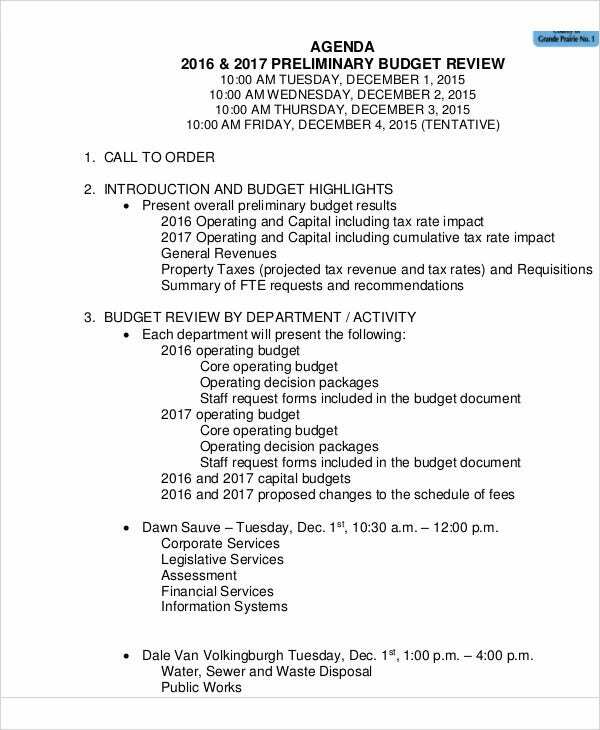 The review agenda templates that you may download from this post can be used in various processes including preliminary budget review, contract review, and document review. 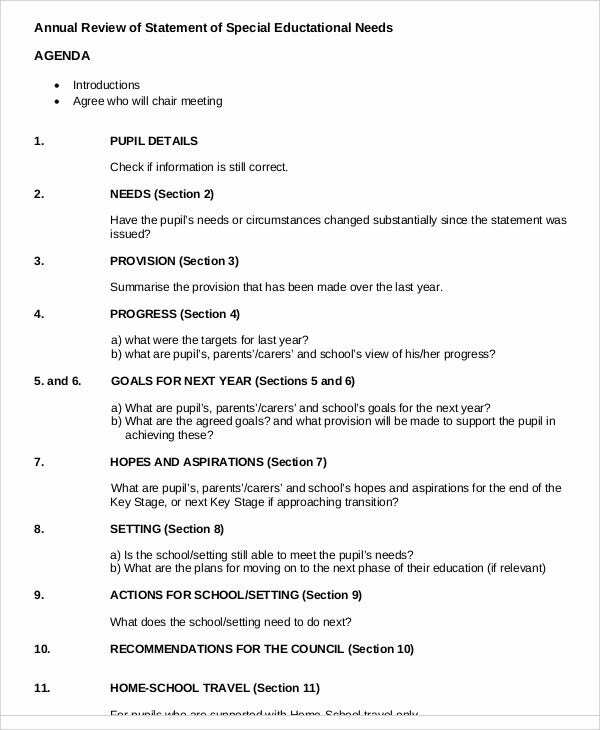 Our templates are editable which will allow you to easily change the data present in each document and incorporate the items that are required to be present in the review agenda that you should create. 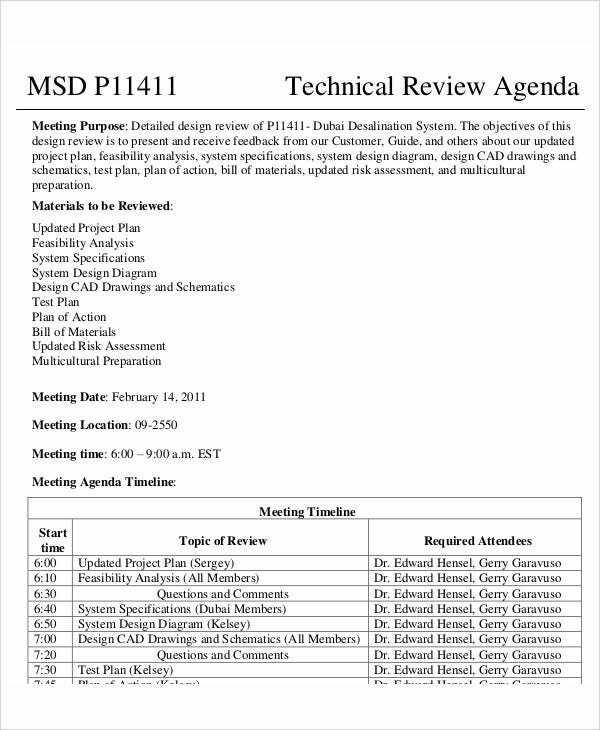 The review agenda templates present in this article already have the headings and topics of discussion which makes it easier for you to provide the details that are expected to be seen in the review agenda that you are tasked to make. 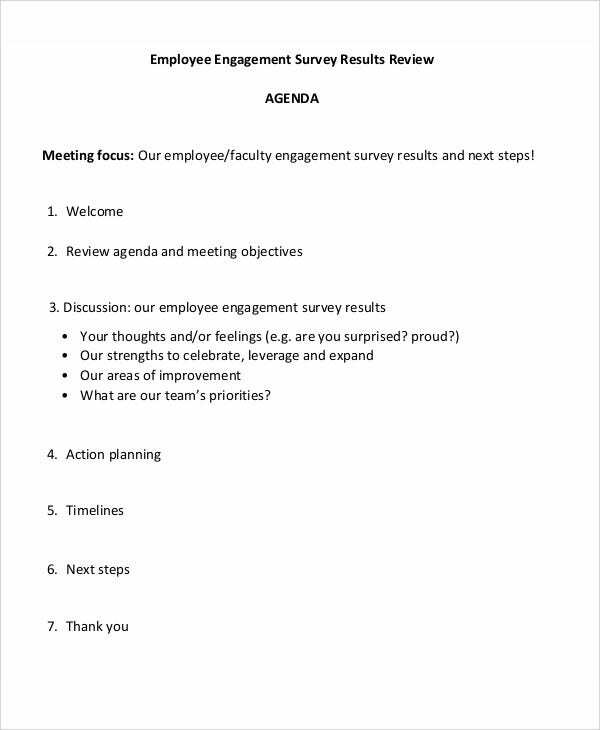 An employee engagement survey agenda is a Printable Agenda Template used by the management of a business to list down all the items that should be present in the specific survey and how the survey materials will be delivered accordingly. It may also talk about the systems to be used for result assessment and the number of employees that are needed in the surveying activity. Financial planning review agendas are created as a part of the operating presentation of a company. 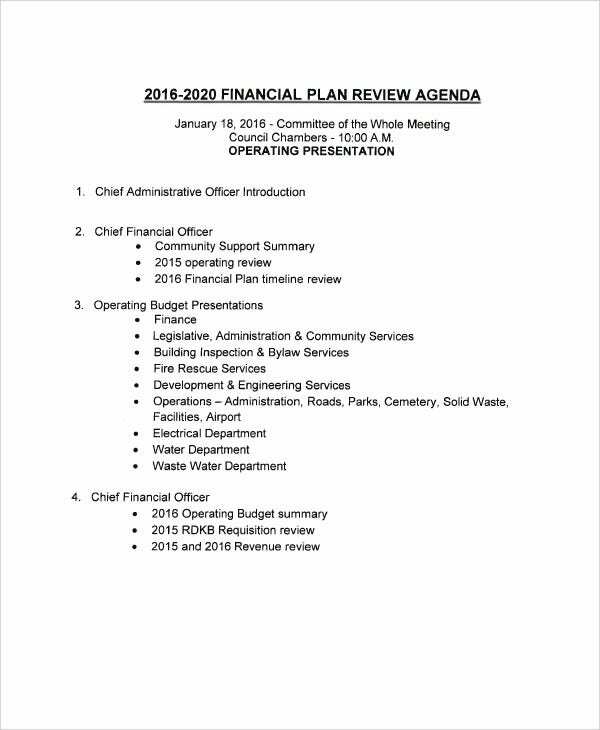 This specific Planning Agenda allows specific various holders to know details of the financial reports that may be delivered either by the company’s Financial Officer, Operating Budget Administrator, or Chief Administrative Officer. 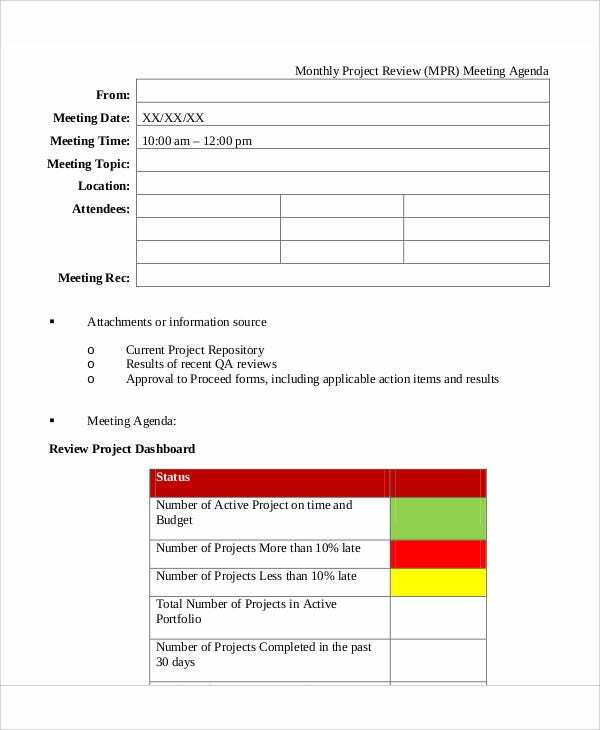 Aside from our samples of review agenda templates, our samples of Project Meeting Agenda Templates and Marketing Meeting Agenda Templates are also available for download in the respective links provided.